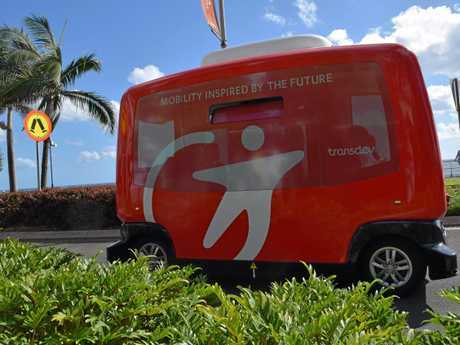 A FUTURISTIC bus turned plenty of heads on its maiden voyage along a busy beach front this morning. The $320,000 shuttle carries up to 12 people and can reach speeds up to 45kmh. 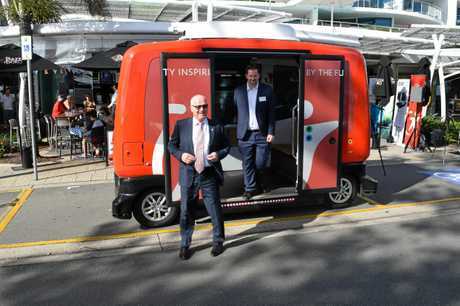 driverless bus: Easy Mile representative Simon Pearce details a driverless bus in Mooloolaba. But its journey along The Esplanade was limited to 7kmh. Easy Mile head of Asia Pacific Simon Pearce said the shuttle was controlled using sensors, lasers and cameras. "It operates completely autonomously- so no steering wheel, no driver's seat, no accelerator, no brake," Mr Pearce said. "On each corner we have sensors which detect the road (and) they detect if people are walking in front of the vehicle. He said another of its type had been in use in Darwin for about 11 months and trials had also been conducted in Cairns and Canberra. 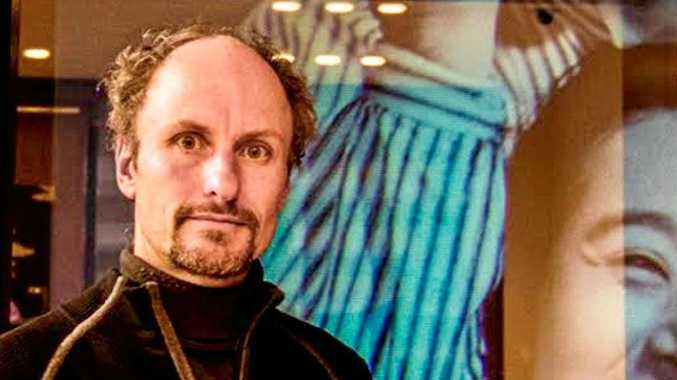 "We would love to work with the (Sunshine Coast) council to purchase one." Sunshine Coast police district officer Superintendent Darryl Johnson said he enjoyed being on board for the first trip. "From a personal perspective I think it is really exciting," Supt Johnson said. "From a policing perspective we have got to move with the times." He said the shuttles had the potential to negate the need for more vehicles in the Coast's busiest areas. "Anything we can do on our roads to make them safer is fantastic. "By all accounts, this type of technology will make our roads safer." Sunshine Coast Mayor Mark Jamieson said Coast residents would be the first in South East Queensland to experience the technology. 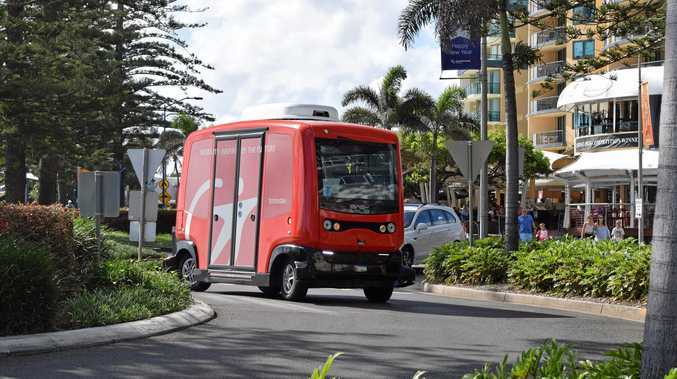 "Electric driverless technology is definitely of interest to us in the long term as we consider transport solutions for our communities," Cr Jamieson said. The shuttle will be running up and down The Esplanade during the day from Thursday until Saturday.